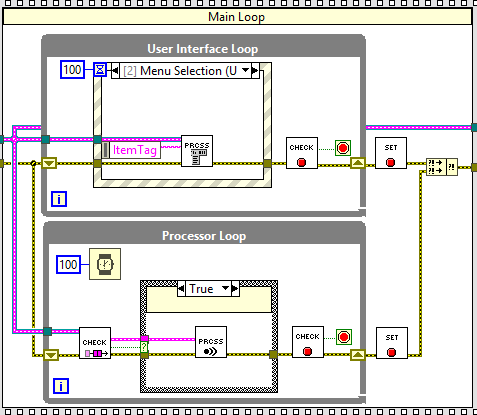 LabVIEW's open architecture allows us to build systems that provide connectivity to any measurement hardware. We can incorporate a new program into existing systems to modernize your system without loss of your hardware investment. Our applications implement powerful analysis functionality to extract the useful information from any data set. Functions such as frequency analysis, signal generation, mathematics, filtering and statistical analysis give you the power to derive the key elements from your data. Presentation encompasses data visualization, user interface design, web publishing, report generation, data management and software connectivity. Let our engineers build you a measurement-specific interface that provides a rich, intuitive environment to present your data and control your equipment. The pylon driver package is designed to operate with all IEEE 1394 and GigE Vision Basler line scan and area scan cameras. The pylon driver offers stable, reliable, flexible image data exchange between Basler cameras and PCs at a very low CPU load. The internal architecture of the pylon driver package is based on technology rooted in the GenICam standard and offers you easy access to the latest camera models and features without the need for driver software updates. A wide compatibility range lets you meet any kind of application requirements and ensures a rapid payback for the time spent in camera/driver integration. Basler pylon supports all of the common technologies required for image processing application development, such as operating systems, programming languages or tools, and third party software packages. Third Party Software: Basler cameras are supported by all common third party software packages for image processing. The Basler pylon driver package is used for image data transport, and the third party software uses its own driver to perform image processing. Because all camera features are exposed via a GenICam-compliant XML file, you can access all Basler camera features regardless of the software used.